simply, Christian - "Off We Go..."
...somehow I figure it will be a little more laid back than this! 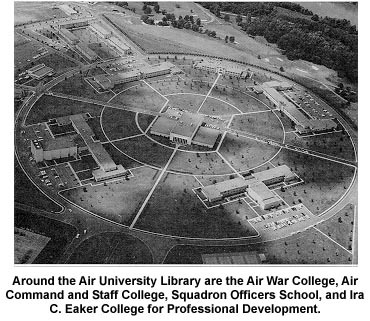 The Chaplain Service Institute (yes, it's really called CSI) is not inside the 'academic circle' at Maxwell, which is too bad, because it's really a pretty historic piece of Air Force real estate. Built in the 1950's, it has lots of steel and concrete construction and a similar feel to USAFA. 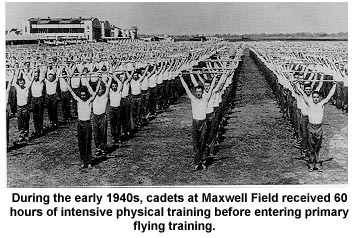 The Maxwell history site says, "Characteristic of the Cold War period, underground tunnels connected the main campus buildings and served as a command post, an alternate HQ USAF, and as a bomb shelter." This makes it sound even more like the Academy (for those tunnel rats who may have ventured into the underworld at USAFA). Maybe a little 'spirit mission' is in order for BCC 07B...hopefully it will fly better than last time!